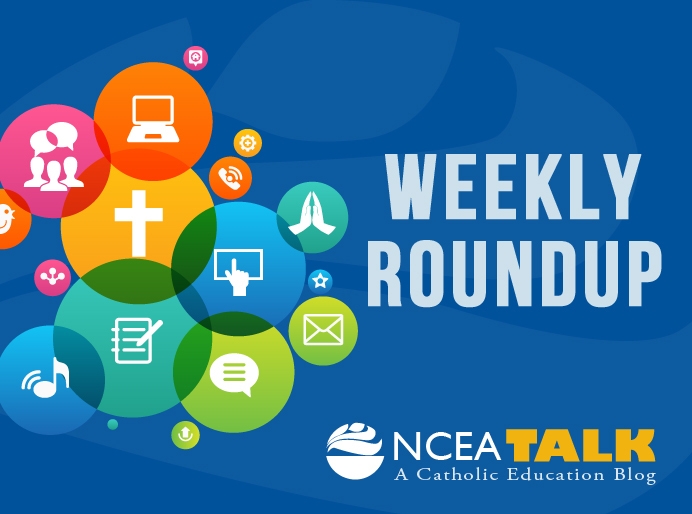 The following article was contributed by Sally McAlexander, Academic Enrichment Coordinator at Our Lady of Lourdes School in the Archdiocese of St. Louis. 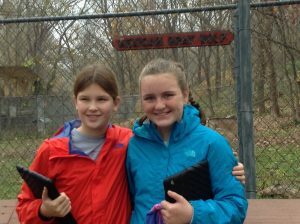 Our Lady of Lourdes School in University City, Missouri, is an elementary school committed to the learning needs of all. With that philosophy in mind, we have developed a new program this year for middle school students called, “Academic Enrichment.” This class is designed to meet the needs of students who wish to extend their learning beyond the curriculum. The teacher takes on the role of “coach” as students are challenged to be self-directed learners as they explore and research topics of interest. How can I communicate the relevance of the Civil Rights Movement to my peers? Can the tail wing of a plane be redesigned to make the plane more aerodynamic? What would the war in the Pacific have been like in World War II had there never been atomic weaponry developed? How can I build a structure that can withstand seismic activity? Once students have chosen their essential questions, they conduct research using print sources, electronic sources, and primary sources. One of the highlights of the program is having the experience of consulting “experts in the field.” Some of the professionals our Academic Enrichment students have met with include engineers, the editor of our Archdiocesan newspaper, doctors and other medical professionals, a biologist, a historian, a beekeeper, a forensic science professor and even trainers from the St. Louis Cardinals, to name a few. The most exciting part of the project is the share component. This aspect of the project is where students choose an audience, design a project, and share their research findings with others. Their creativity knows no boundaries as we have enjoyed taste tests, walking tours, field tests, short story readings, demonstrations and a blues music jam session. 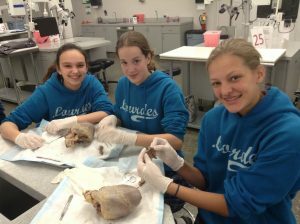 Additionally, the Academic Enrichment program allows students opportunities for off-campus learning experiences. 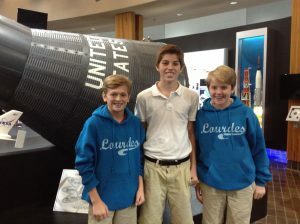 Some of our most outstanding trips have included visits to local museums and libraries, the St. Louis Zoo for a bio mimicry program, Boeing’s Prologue Room, and the anatomy lab at St. Louis University. The overall goal of the program is to encourage students to become self-directed, lifelong learners. We are thrilled with the success of the program during this initial year and are eager to see where our students take this learning in years to come. An 8th Grade student has been teaching her peers more about the homeless situation in St. Louis. 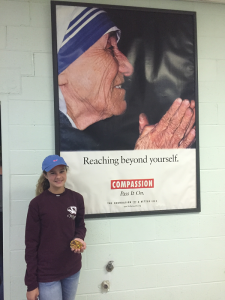 She spoke with directors at St. Patrick’s Center and served guests at the Mother Teresa Soup Kitchen in order to get a more hands-on learning experience. She has organized an opportunity for her classmates to serve at the soup kitchen as well. Click here to watch Local high school takes students out of the classroom for research projects.